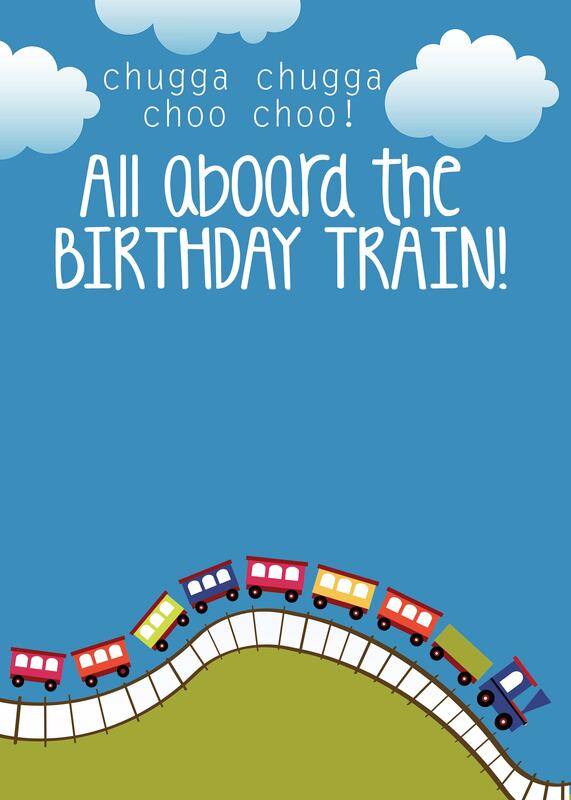 It’s hard to believe that it’s been a couple months since I gave you any new free birthday party printables. Well, today I have a one that I think might become my new favorite… choo choo trains! First up was a birthday party invitation. Above you can see what I sent to print: a 5×7 one-sided card. Below is a blank version that you can revise in PicMonkey, Photoshop or even Microsoft Word. I would suggest printing on cardstock and inserting into blank envelopes (I purchased mine from Target & WalMart in the past). How about a birthday banner to hang for the festivities. 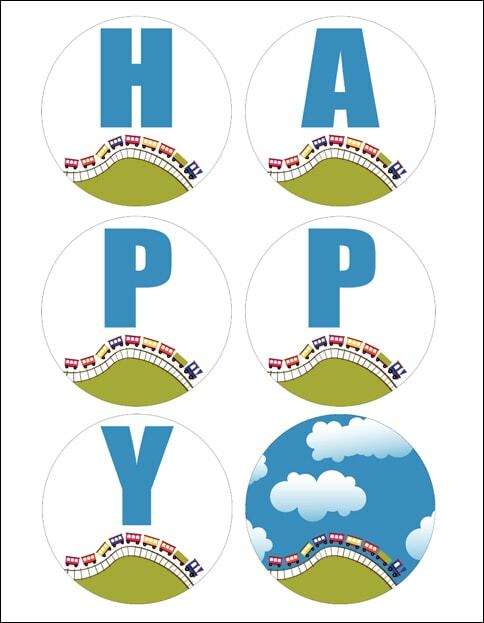 I’ve uploaded a PDF that says “Happy Birthday” along with some little train spacers. like ladybugs, pirates, construction trucks, and owls! I love your train birthday printable! My little boy is turning 4 and is obsessed with trains. 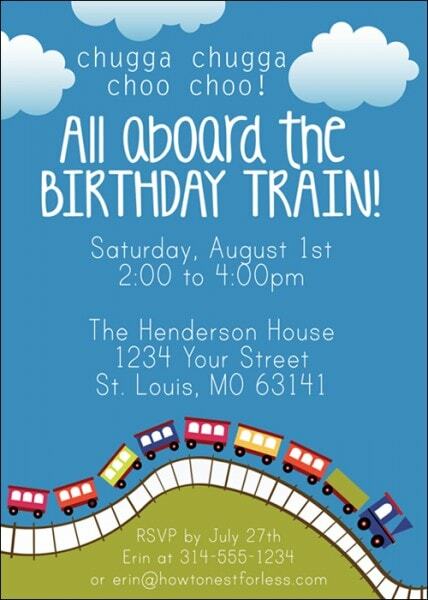 This will be the perfect invite and decorations for his party. Can you tell what font you used for the date/time/address? Thank you! For both the templates/pdfs AND introducing me to PIcMonkey. I’m never going back to store bought again (famous last words…). 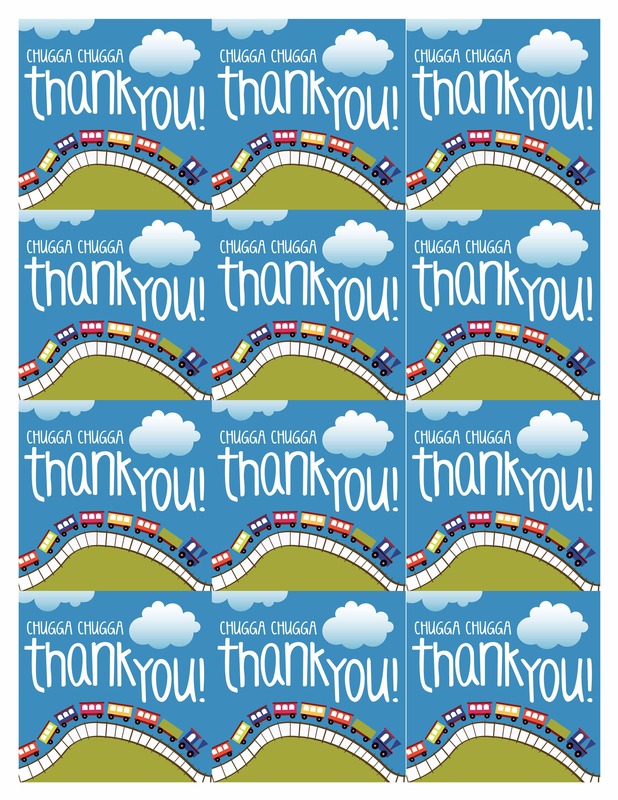 Thank you for your printables. So thankful that I discovered your site! These are perfect for by son’s birthday party next month. Thanks!!! You’re welcome Cara! Glad you can use them! 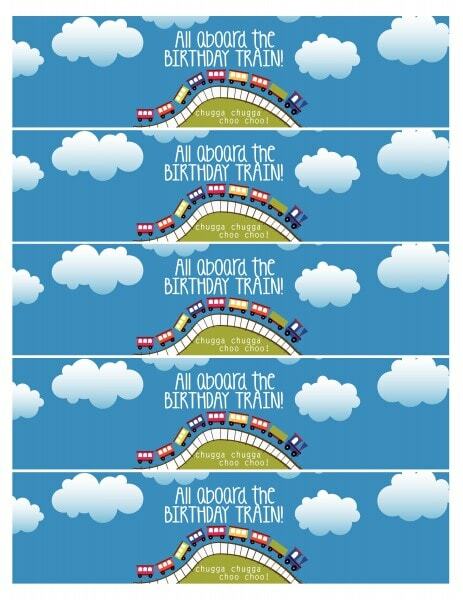 thank u for this printables…but i would like to ask how to edit this so that i can put my baby’s name…? Sorry, only the invitation and food cards are available for personalization at this time. I can’t get the invitations to download into an editable word file. Is it possible to get a file emailed? It doesn’t download to a Word file, just a JPG. Thanks so much for the printables. My little boy will love them for his 4th birthday party!! Do you know where I can find zoo birthday printables? Sorry, I do not know. Hope you can find something!! Unfortunately I don’t have any designs at this time for a zoo theme. Hi! I love this theme with these colors. I”m having trouble turning the invitation to Word so that I can add my information and print. 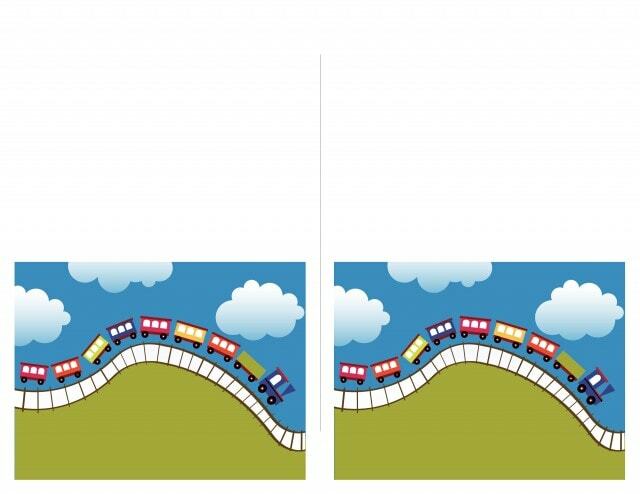 Try placing the JPG into a Word document. Hi, What font did you use for the “chugga chugga choo choo”? The font is Letter Gothic! 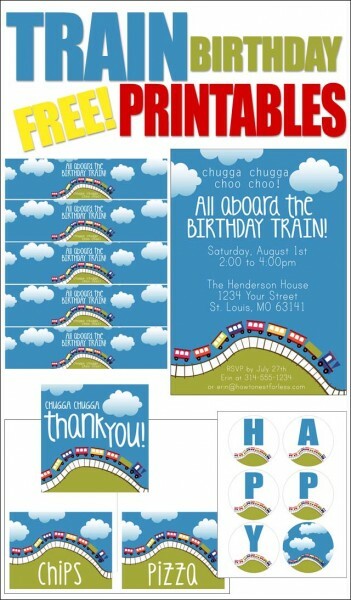 Thanks again for your printables, I’m excited to use them next month for my son’s birthday! I’m having some trouble printing out the “Happy Birthday” banner though, it’s only showing the first and last page for me. Would you be able to email it to me or repost it? Thank you! These are so great and I printed them on cardstock from the 99c Only Store. Thank you so much for posting such a great theme!